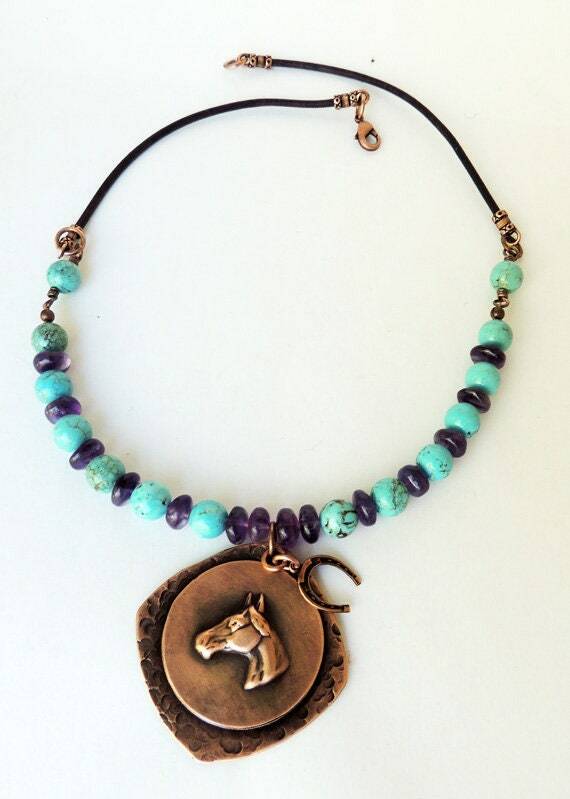 Wild horses couldn't keep me out of my shop. 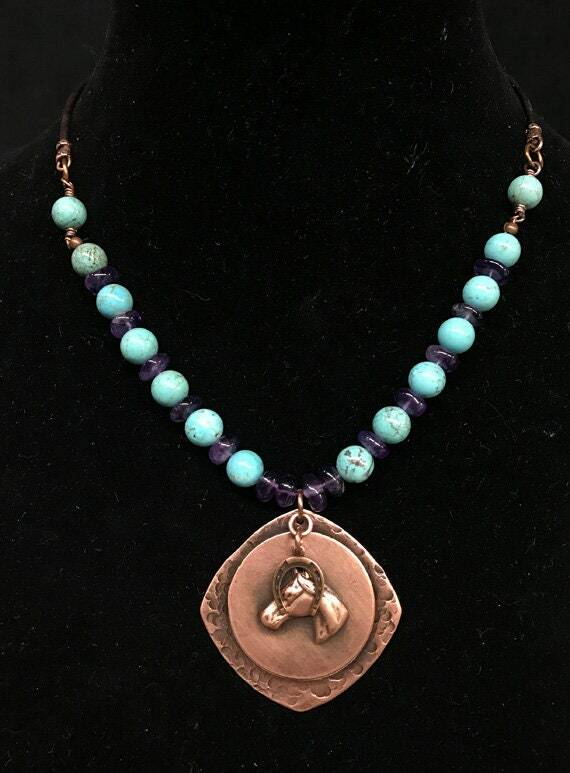 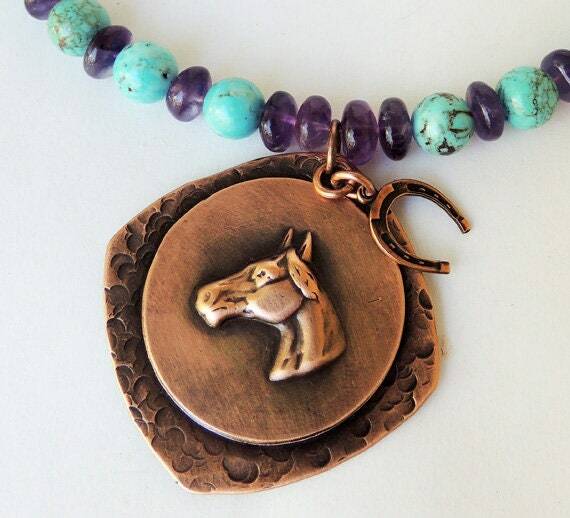 I am offering a hand cut copper pendant with a horse impression with turquoise "dyed" magnesite and amethyst stones. 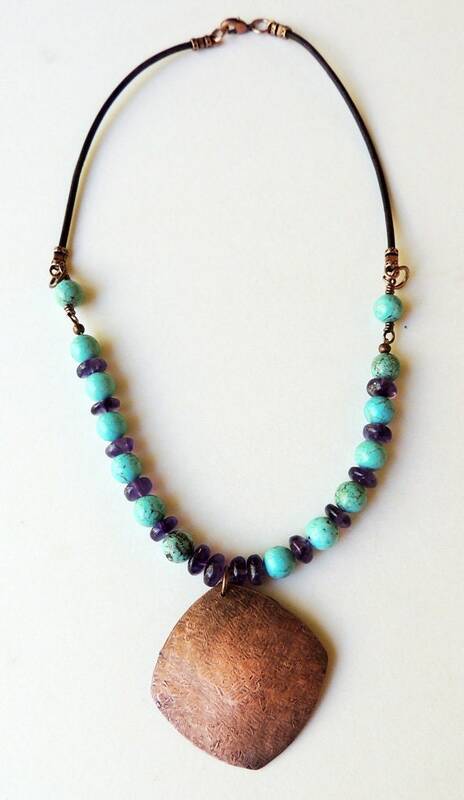 I have added this to a natural brown 2mm leather cord. 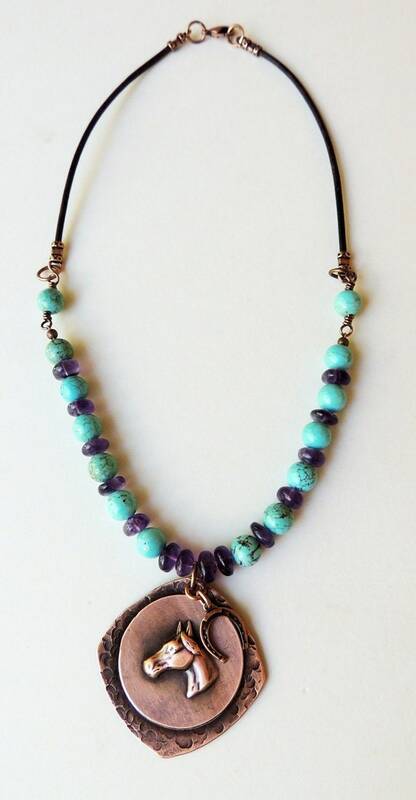 The pendant is 1 1/2 inches square and the overall length of the necklace is 18 inches.